Hydraulic Test: 21 kgf/cm2 Description: Triple Purpose Nozzle that serves three different purposes like jet, fine spray and shutoff. - Working Pressure up to 150 PSI. 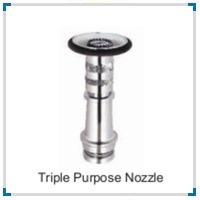 We are offering Triple Purpose Nozzle to our clients. Triple Purpose Nozzle All Type MFG. 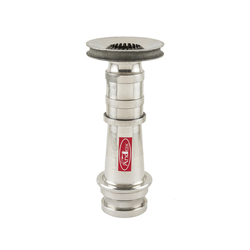 Triple Purpose Nozzle, Size: 63 Mm Male Instantaneous Inlet. Size: 63 mm male instantaneous inlet.